This gracian urn is the harbinger of modern day flower pots and still to this day, stand tall in heritage. It brings beauty to our plants and surroundings. 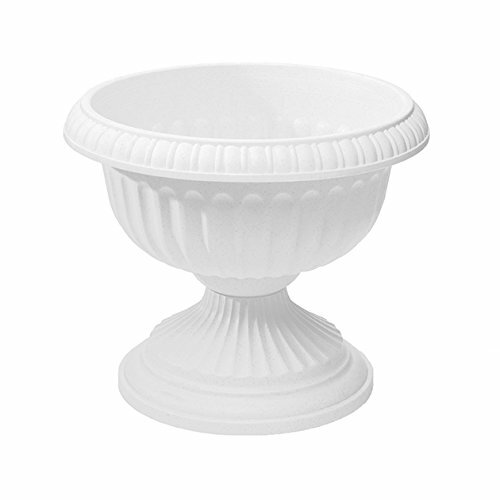 It maintains the same neoclassic stylealways durable, fashionable and a must-have for deck, patio, poolside and entry. Two-piece construction with optional punch-out drain holes. Available in white color. Measures 18-inch size.